I fell in love with Krav Maga after my very first class. 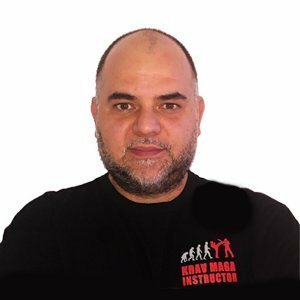 Krav Maga’s origins, the reasons why it was created, its principles are as interesting to me as the simplicity and efficiency of its techniques. I find it amazing how it evolved from the need to address real life problems in the most effective way and the more I practice it, the more I discover and appreciate it. I went thru the instructor course, not only to learn from the best (Thank you, Megan, Jean-Paul and Chris! ), but to also be able to share Krav Maga with others so they “may to walk in peace”.